PARIS - Scientists from the United States, Japan and China are racing to perfect satellite technology that could one day measure greenhouse gas emissions from space, potentially transforming the winner into the world’s first climate cop. “The real success of a deal here fundamentally revolves around whether we can see emissions and their removals,” said John-O Niles, director of the U.S.-based Carbon Institute, which studies methods of carbon dioxide measurement. Most estimates of greenhouse gas emissions are now based on calculations of energy use and other proxy data, rather than on-the-ground measurements, leaving a huge margin of error when nations submit their figures to the United Nations. While space-based measurement is unlikely to be mentioned in any deal agreed by the nearly 200 countries negotiating in Paris, the European Union is leading a push for a universal system of measuring, reporting and verifying emissions data. European and Japanese satellites have been monitoring overall carbon concentrations in the atmosphere since 2002, but calculating emissions at a national or local level is far harder. 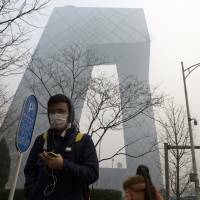 For example, the margin of error for China, presumed to be the world’s top carbon polluter, is greater than the entire carbon footprint of Europe, according to experts. Earlier this year, new data showed that China had consumed substantially more coal in 2014 than earlier reported, causing big revisions to carbon calculations. An earlier report showed its carbon output between 2000 and 2013 was about 3 billion tons less than previously estimated. 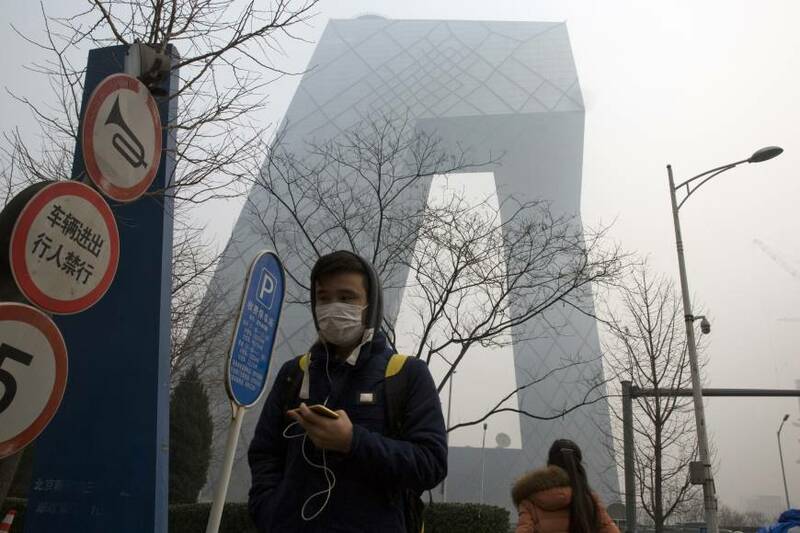 China announced plans ahead of the Paris talks to launch its first emissions-monitoring satellites next year. But it says trade restrictions are hampering cooperation. NASA launched its first satellite to measure atmospheric CO2 in July last year. The challenge now is to convert the images — which pick up carbon concentrations in the form of yellow, orange, and red blobs — into emissions data, said Steven Pawson, chief of the Global Modelling and Assimilation Office at NASA’s Goddard Space Flight Center. NASA scientist Lesley Ott said that the satellite, named OCO-2, also shows there is potential to zoom into urban areas to record carbon pollution. A new device with that capability, OCO-3, has been developed for use on the International Space Station, but has been delayed by budget constraints, she said. Scientists are also struggling to measure changes in forests that absorb CO2, a key part of the calculation for net emissions, from space. Trees bind carbon while they are growing, but stop once they are mature. Masanobu Shimada, a researcher at the Japanese Aerospace Exploration Agency, is working on distinguishing between the two on a global scale. “We can get an idea about biomass from the shading of its images,” he said. But for now, the imagery is too fuzzy for certainty. Back on Earth, climate activists hope a Paris deal will include helping poor countries to measure their own net carbon emissions on the ground, a process that can be difficult and costly. Michael Gillenwater, of the not-for-profit Greenhouse Gas Management Institute, said that kind of monitoring is better suited than satellites to pinpointing the source of emissions. “We need to know where emissions are coming from — which factory, what process,” he said. But calculating net emissions at a single poultry farm in China, for example, requires a 54-page, U.N.-certified rule book that factors in everything from the amount of methane removed from the chicken manure to local temperatures and animal weight to come up with a figure. At some point, that kind of detailed analysis may also be possible from space. A Canadian satellite company called GHGSat has launched a small-scale effort to do exactly that. Its nanosatellite, nicknamed CLAIRE, will launch in April aiming to provide a way for energy producers to measure their carbon footprint.